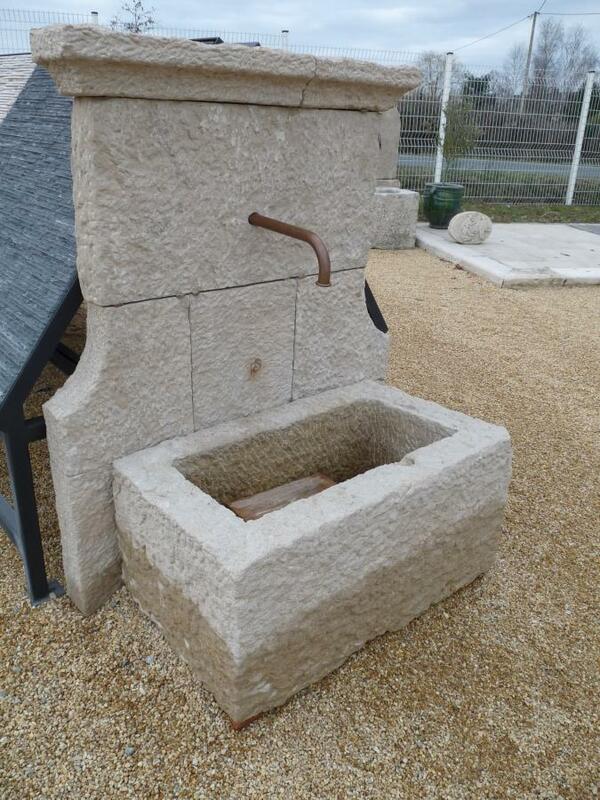 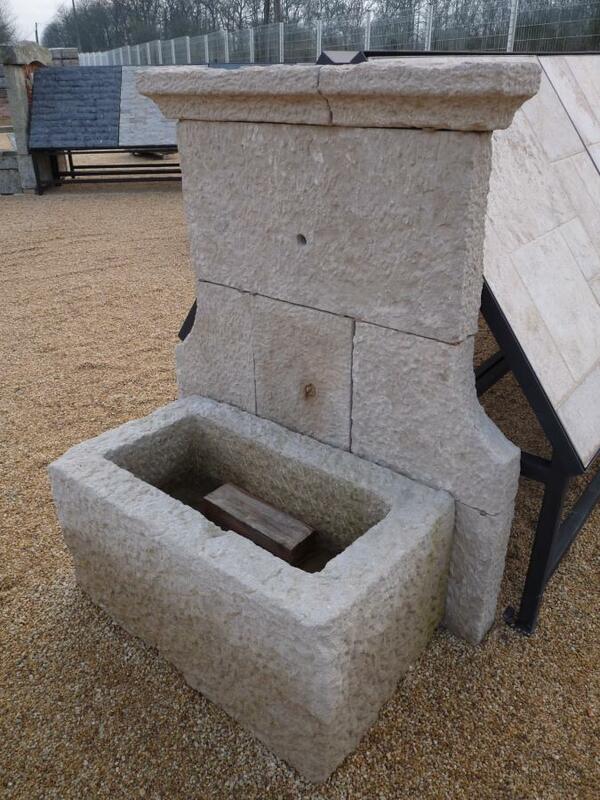 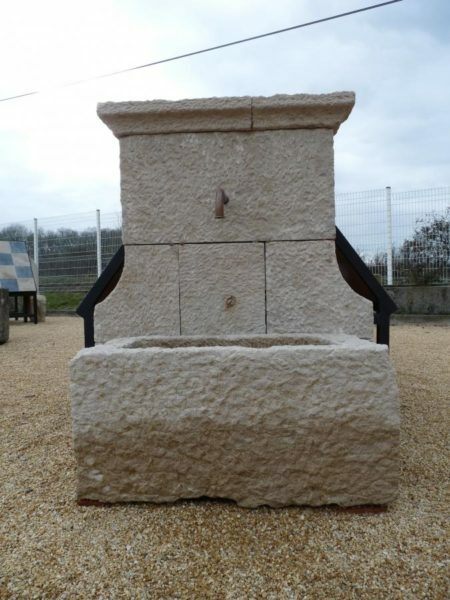 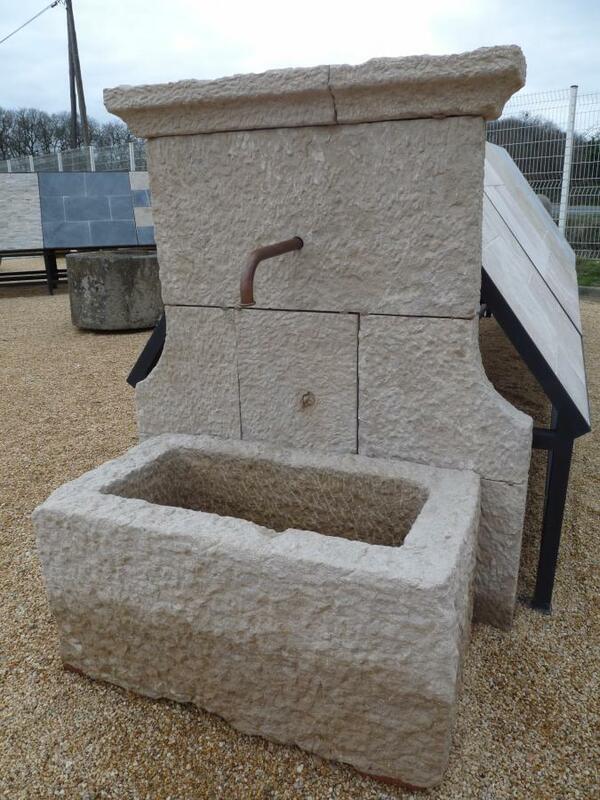 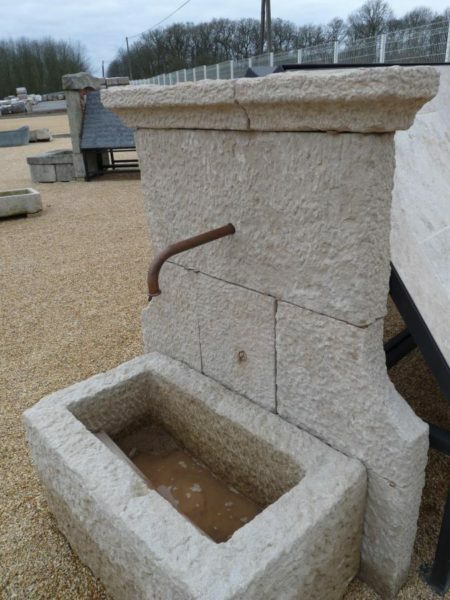 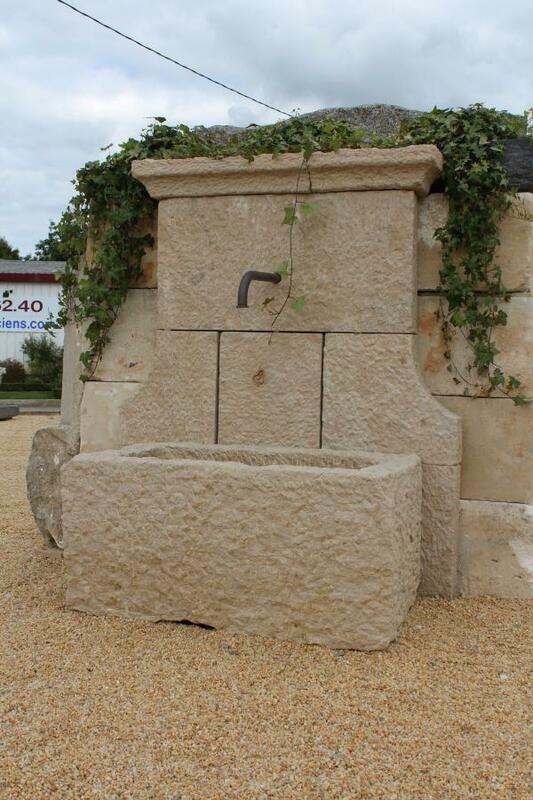 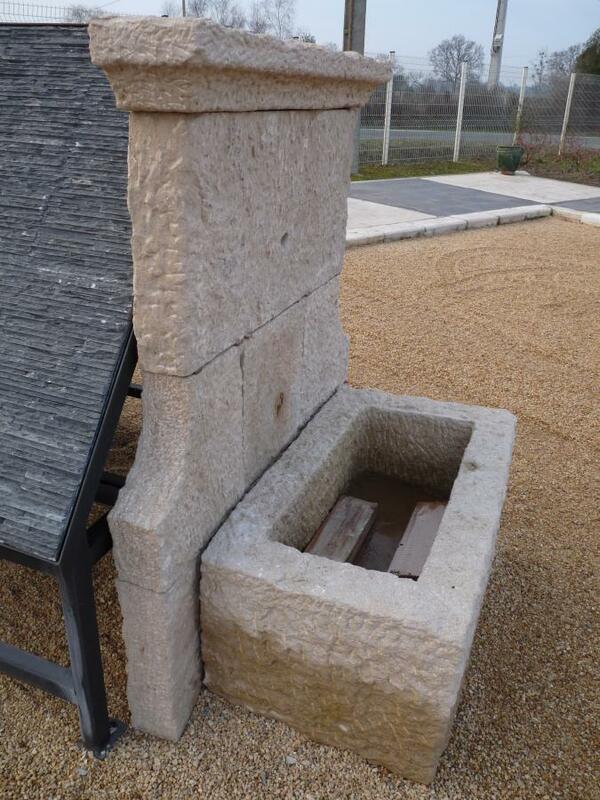 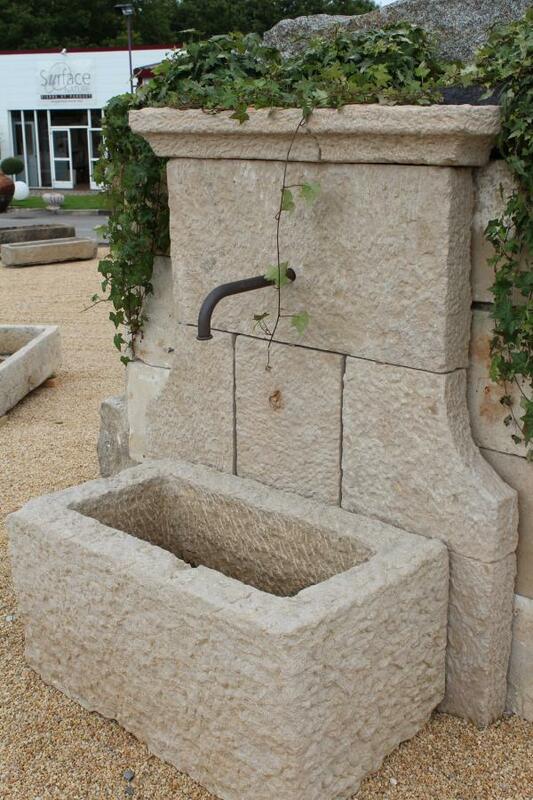 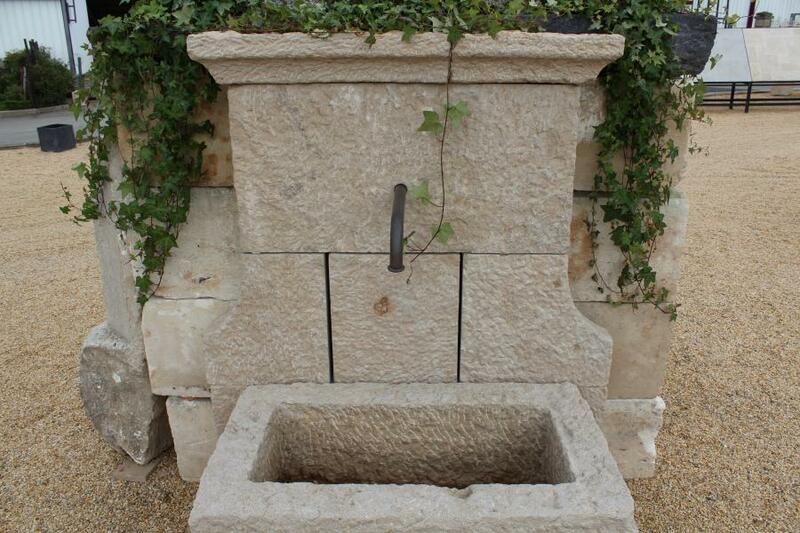 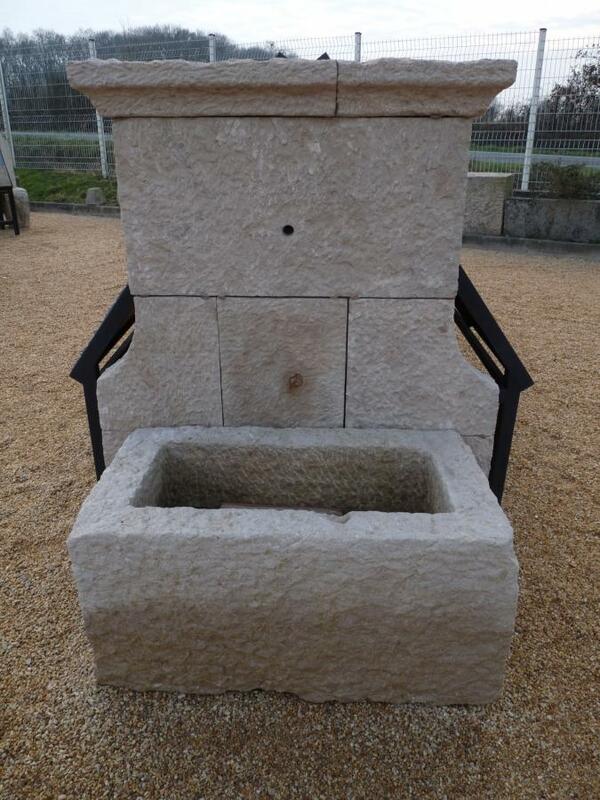 New limestone wall fountain with rustic weathered finish. 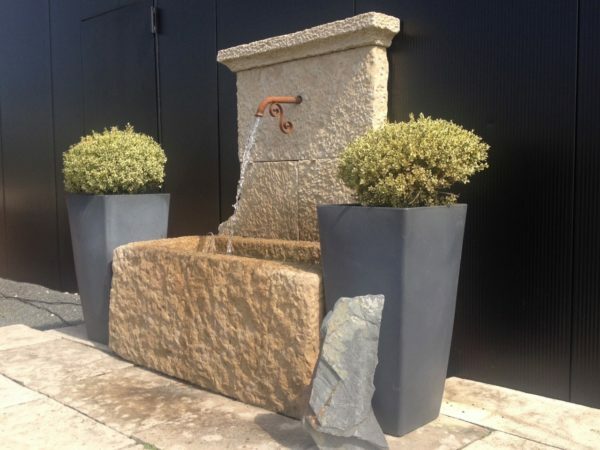 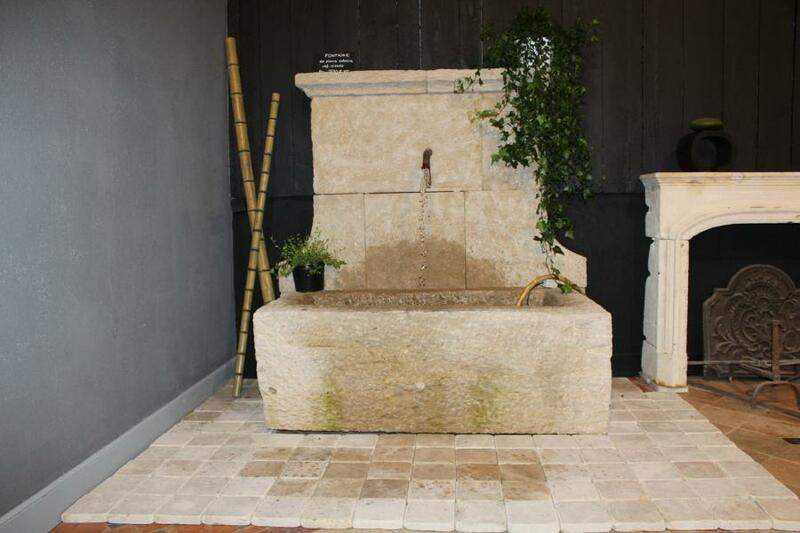 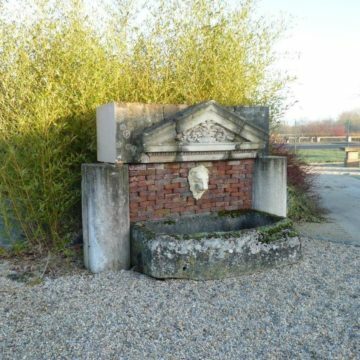 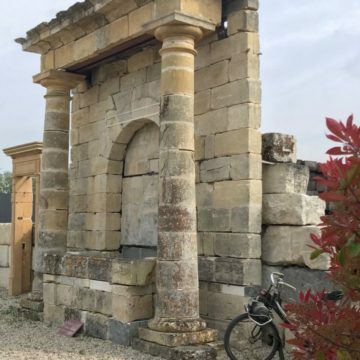 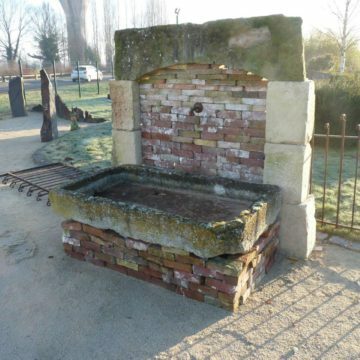 Reproduction of the simple wall fountains, springs, and wells in the spirit of France’s Provence, that will quickly gain patina once installed outside. 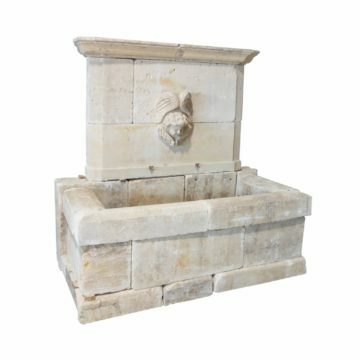 Dimensions : overall height 160cm (63 inches) x width 130cm (51 inches) x front-to-back 75cm (30 inches). 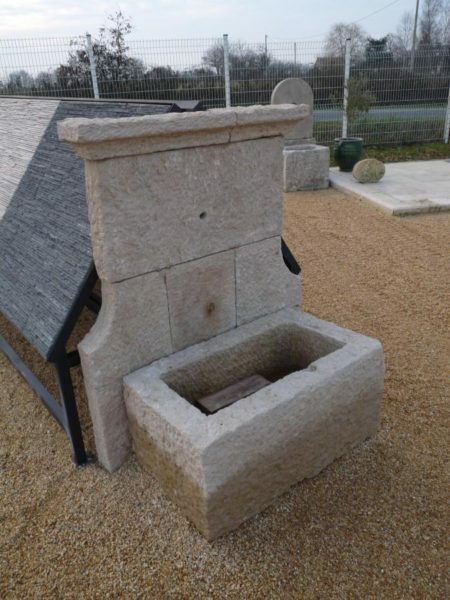 The stone pool measures 107cm (42 inches) x 63cm (25 inches) x ht 52cm (20 inches) approx.